Home » New Pokies » Enjoy as the Wild Toro chases the Matador across the reels! Elk Studios has just released their latest video pokie game on the market called Wild Toro. As the name suggests the game theme comes from the popular bull fighting in Spain, where the main actors are the Matador and Toro the bull. But fear not you won’t see any gruesome scenes in this game as the symbols have a cartoon look with funny animations. The visual effects are simply outstanding which make this game very attractive to the eye. The game play is fast with lots of excitement thanks to the several interesting bonus features. The design of the game is recognizable for Elk Studios with 4 rows, 5 reels and 178 ways to win. 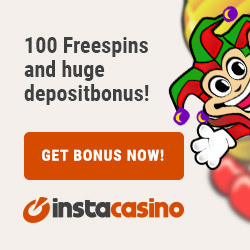 Players can bet anywhere from $0.20 to $100 per spin and there is an Auto Play option available with up to 100 Auto Spins. What’s interesting about Wild Toro, as several other pokies from this provider, is the choice of betting strategies available. Based on the wins and losses during the game play the bet level is automatically adjusted to provide the best payouts. We have to say that we love the visual effects of Wild Toro. The symbols are really great, designed with high details and the animations are amazing. All of this combined, makes Wild Toro a real eye candy for all online players. We love the fact that there are two wilds available in the game and we especially love the Walking Wild Toro. This symbol lands only on the last reel and moves one reel to the left in each following spin. But once a Matador symbol lands anywhere on the reels Toro will chase him leaving a trail of wilds behind him. It’s also great that Toro moves only horizontally and vertically so if the Matador symbol is far away Toro will leave a long trail of wilds behind him. Our most favorite part of the game is the Matador Re-Spin feature. It is triggered when 3 or more Matador symbols land on the 3 central reels. The number of re-spins is equal to the number of triggering symbols and each additional Matador symbol awards an additional re-spin. During each re-spin a Walking Toro Wild can land on the fifth reel and start his wild chase over the reels. This is a very interesting feature which many players will find attractive. 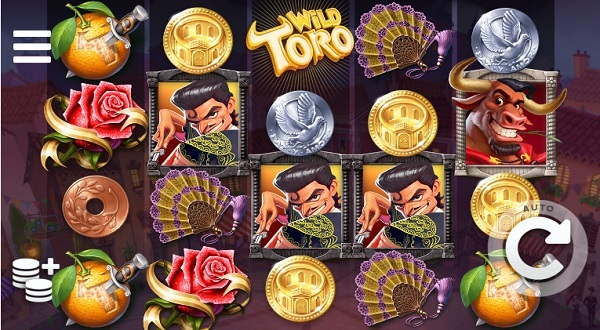 The only detail we can say we don’t like about Wild Toro is the absence of a classic free spins bonus round. But the Matador Re-spin feature can be very rewarding which in some extent compensated for the absence of a free spins bonus. Even though this is a new game we already had a chance to try it out for real play in some of our favorite casinos. We can recommend it for real play since our sessions were decent with some great payouts. What’s interesting about the game is the fact that even though the wins we had weren’t very big they were frequent. This kept our balance leveled for a long time and the features only boosted it several hundred x total bet. We hope you will enjoy Wild Toro as much as we did and hope you land even bigger wins than us.